Ed Potoczak is director of industry relations at IQMS, Paso Robles, CA; 805/227-1122, www.iqms.com. Two-billion dollars. That’s what Toyota spent from 2009 to 2011 to recall more than 9 million cars due to accelerator pedal-related issues. 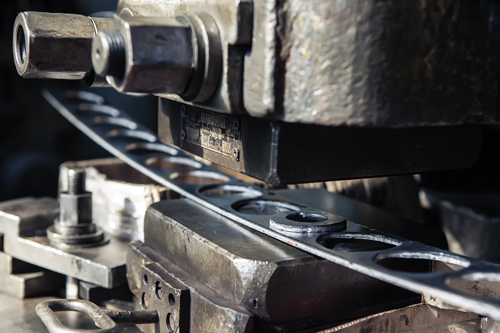 While most metal-manufacturing mistakes aren’t that costly, when they occur metal manufacturers lose money on scrapped materials and corrections, miss customer delivery dates, and even face steep fines. Early adopters of IIoT are driving improved efficiencies in operations by preventing production mistakes. Fortunately, there’s a modern-day weapon to guard against such mistakes: The Industrial Internet of Things. The IIOT has enabled important advances in monitoring different aspects of manufacturing operations to detect and prevent errors by integrating equipment controls and smart devices. On the shop floor it looks like this: Process equipment and devices—including sensors via wired or wireless networking—are connected to capture a range of measurements. These may include time, speed, temperature, pressure, flow, voltage and current. The measurements can be used for analysis and reporting in software systems to help managers monitor and adjust production. Early adopters of IIoT are driving improved efficiencies in operations by preventing production mistakes. These common errors include making the right product at the wrong time; building the wrong product at the right time; misidentifying products; or in the worst-case scenario, making nonconforming products. Preventing these mistakes minimizes wasted material and labor while solidifying customer goodwill. Metalforming and fabrication companies can ensure correct on-time production with connected monitoring that incorporates real-time, actionable information from the setup of the work center as preparations are made to run the next scheduled work order. What are the resources necessary for putting connected monitoring processes in place beyond confirming the source materials and components? 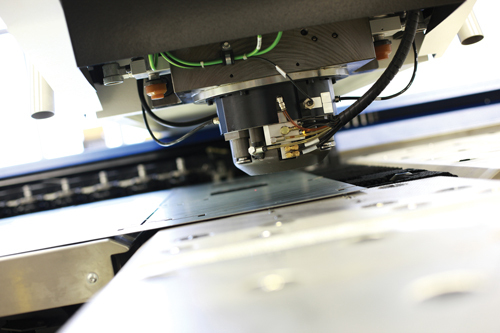 First, it is critical to have capable equipment with the specified tooling and fixtures available. Also, have trained and authorized operators present to run the equipment. Additionally, specified containers must be ready to receive, hold and protect resulting products from damage and contamination. Finally, it is important to verify that the operation is able to create labels in the customer-approved format and with the right content. In fact, labels can be as valuable as the product. Because most part suppliers work with customers striving to operate in a lean mode, any supplier’s product-labeling mistakes on containers and shipping documents, or in electronic data interchange communications, can significantly disrupt production flow. Basic control-systems principles and practical best practices have established the importance of creating a closed-loop feedback system for any process to help minimize and prevent errors. Once this feedback loop is established to support error-proofing at setup for production, these same connections can continue ‘listening’ to the equipment and tooling to monitor production activity and quickly identify trends. For example, if a machine-sensor signal begins to wander, an alert is sent via text, email or status light-poles. This form of prevention before product quality suffers, or equipment and tooling fail, can save significant cost and time. Metalforming and fabrication companies can ensure correct on-time production with connected monitoring enabled by ever-evolving technologies. Central to creating a feedback loop is the integration of the enterprise resource planning (ERP) and manufacturing execution system (MES) software with equipment sensors, machine controllers and computer workstations. Doing so provides reliable data and minimizes gaps and inaccuracies due to human error. If the software is designed well, the analysis and reporting of the results will occur in real time when the information on readiness or ongoing production performance is actionable. After-the-fact reporting at end-of-shift, day, week or month can be useful for identifying trends, providing a big-picture view, and minimizing hard and soft costs. It’s important to note that the soft costs associated with integrating and implementing MES software can contribute to the return on investment (ROI). Therefore, in calculating ROI, it is worth quantifying the prevention of downtime; containment, recovery and rework of non-conforming product; expedited freight; customer frustration and back charges; and staff time to address customer concerns. Manufacturers also should consider the benefits of closed-loop operations that optimize uptime and yield, improve delivery performance, and foster customer goodwill. Status of resources must be captured and verified prior to start of production at a press or machine. Resources include raw materials/components, operators, tooling, containers and labels. This information can be typed into a computer terminal or tablet by an operator. However, when possible, it is better to automate this input via a wired or wireless connection directly from the equipment and tools, or by using an automatic/ manual hybrid that captures input via scans of barcodes or radio frequency identification (RFID) tags to assure accuracy. Modern MES solutions can support any or all of these methods. Modern manufacturing software stores and uses product and process specifications. Product and process specifications are stored in the software’s database for use by the business logic on the plant floor to verify the necessary resources, including work instructions, available and ready for operator use. Communication method must be determined. You have three means for communicating with your operators when setup logic is satisfied and production can start: display screen, light-stack pole or controls interlock to your operators. Start with the end in mind. Identify what information is needed along with the results required to solve a specific recurring issue. Pilot one or two workcenters or process lines to gain experience with the tools and to build workforce acceptance. Review and document the lessons learned from this initial trial, and keep it simple. Expect to become more sophisticated over time. It is natural for operators, technicians and managers to think of additional features and benefits to pursue as they become more familiar with the technology. Analyze planned versus actual ROI from the pilot. Then create an investment and roll-out plan in phases. This provides the ability to demonstrate success at each stage and gain support for future enhancements.